Roselin Campos is an alumna of the University of California, Los Angeles and a Mechanical Engineer at SSL. The child of immigrants from El Salvador, Roselin was the first person in her family to attend college. She draws inspiration and strength from the sacrifices made and the risks taken by her parents--which make sleepless nights studying fluid dynamics seem like nothing. 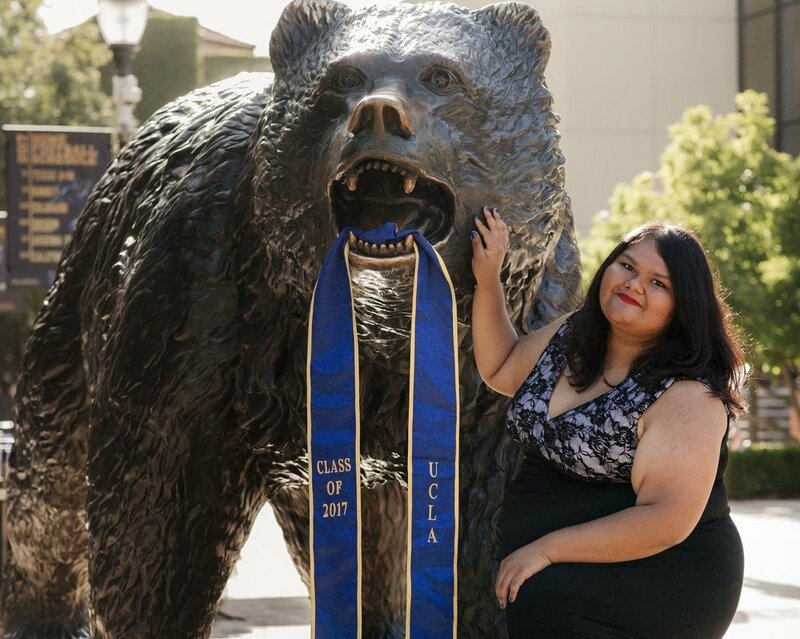 As a student at UCLA, Roselin was a leader in many student organizations, including the Society of Latino Engineers and Scientists (SHPE) and the National Society of Black Engineers (NSBE), as well as being an active member of the American Indian Society for Engineers & Scientists (AISES). She worked closely with Mathematics, Engineering, and Science Achievement (MESA) to teach workshops, judge competitions and tutor middle & high school students. She was also a FIRST Robotics mentor for her old high school team at Crenshaw High School, as well as an undergraduate researcher in UCLA's Robotics & Mechanisms Laboratory where she continued to cultivate her love of robotics. Additionally, she was awarded the NSF MUSE Scholarship, Charles “Pete” Conrad Jr Scholarship, Mattel Scholarship and was chosen as a South Central Scholar & RMHC/HACER Scholar. As a Brooke Owens Fellow, Roselin worked for the Bus Electronics division at SSL. She analyzed thermal data for the power system of a satellite. She was able to gain insight into the inner workings of a satellite's subsystems, how they are integrated and the rigorous testing both subsystems and the satellite go through as a whole before being approved for flight. She was also responsible for coordinating several qualification tests for the power subsystem. In December of 2017, Roselin started full time employment at SSL in their Solar Array & Deployable Mechanisms Department as a Mechanical Engineer. She is currently part of a team that supports qualification testing for the hinges on NASA's Restore-L program.